Terminal 5 has a 4,000 space multi-storey car park, a new link road from the M25 motorway, the diversion of two rivers, reconstructing the Western perimeter road, a new 600 bed major hotel, (the Sofitel Heathrow terminal 5), and the extension of rail links, the Heathrow Express and the Piccadilly line. 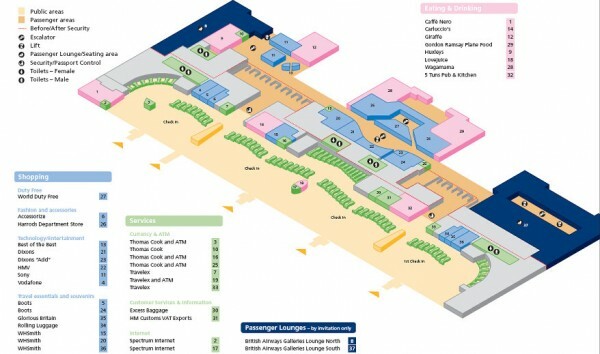 Terminal 5 is on the Western Perimeter Road and has its own separate access road, on the M25 you come off at Juntion 14. If you're coming from the M4, exit at junction 4b and follow the M25 south bound, come off at junction 14.